This weekend will be the culmination of a year's worth of work and planning. 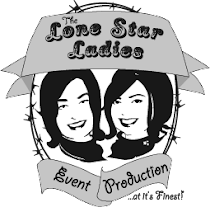 Back in March of 2008, my sister Allison and I decided to start an event production company - The Lone Star Ladies. 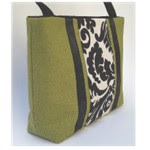 I've been making and selling purses around Austin, Texas - and even in Georgia and California, for many years now. I attended and sold my first items at craft shows when I was about... 6. This crafty life is just in my blood! One of my favorite things about Austin is the huge crafting, design and arts community. There just aren't many places for artisans to showcase their work in the Spring. The Christmas Season is full of shows, but what about Spring? What about shopping for Mother's Day, Father's Day, Birthdays - or just getting yourself some fly new earrings, cosmetic bags or clothes to strut around in the gorgeous weather? So we started The Lone Star Ladies to promote Austin Artists - and set about creating an event that showcases the best in local craft, art and design. We had an intense juried application process, and hours and hours of planning, promoting and fun! The result is The Lone Star Ladies Present: Shop Austin! A family-friendly day of shopping, relaxing, and being supportive of the local Austin Community. Spending money where you live is extremely important in our current economy - Austin has always been supportive of it's local businesses - and we hope to extend that support to our local independent artisans. From the choice of venue - Saengerrunde Hall, built in 1879 in downtown Austin, to the selection of vendors - over 35 of Austin's best, to the wide support of the Austin Community - Rare Austin, The Onion, Greenling, Birds Barbershop & Sublime Stitching, just to name a few - our event encompasses the Spirit of Austin! 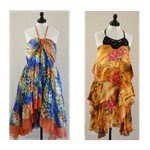 Shop Austin will take place this Saturday from 11am to 5pm at Saengerrunde Hall in downtown Austin. Tickets can be purchased in advance for $8.00 or at the door (cash only) for $10.00. Children 12 and under are free. With your entrance fee you get to attend a fabulous event that includes free mini-facials in our Beauty Lounge, inexpensive Chair Massage - and Austin's most famous cupcakes from hey cupcake! The FIRST 30 Shoppers in line will receive a Goodie Bag stuffed with gift certificates, jewelry, accessories, coupons, swag and amazing items from over 30 local businesses, and worth over $300! Take some time this weekend to do something fun - and Celebrate all things Austin! Sunny Sunday - Roundtop Recap! This year marks.. wow, 3 or 4 years that we've been going - and it was a blast! A few themes emerge every year - and this year they included elephants, fabulous art deco pieces, creepy objects of interest, and cute baby stuff. So let's break it down by category and get going on the recap! 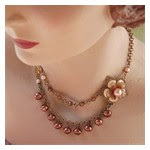 Of COURSE - this is my favorite time period of design - Art Nouveau comes in at a close second, then Mid Century Modern. Deco is growing in it's collectible interest - and the authentic pieces are pretty pricey. Always great for inspiration! I don't know what came over my girl friends - but they got into some creepy stuff this year - and the more I looked, the more it seemed that creepy was a theme across the fields. As always - hope you're inspired and entertained! April 18th, 2009 - The EVENT OF THE YEAR in Austin!